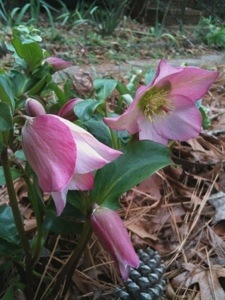 The red shades of hellebore are blooming. | Arthur in the Garden. ← Arthur’s tangy ginger fried rice with shrimp. 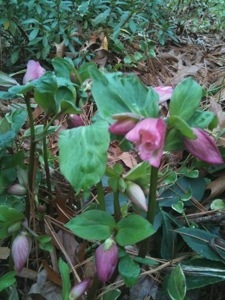 The red shades of hellebore are blooming. 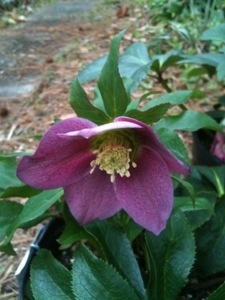 I have purchased hellebore throughout the years and the red shades are a favorite. They seem to be in the same range of a reddish hue but a few of them also have dark foliage, too. I would like to add more of the named varieties such as the Pine Knot hybrids, especially, the spotted shades. I do have two white Pine Knott hybrids with burgundy foliage. The are very heavy bloomers. 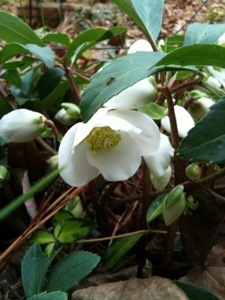 Hellebore also have a habit of seeding prolifically. When left to their own they form colonies. 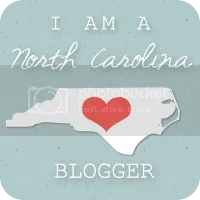 I am betting on this habit to create colonies around my garden, too! Hopefully, these all will create a nice colour pallet around the yard in winter. 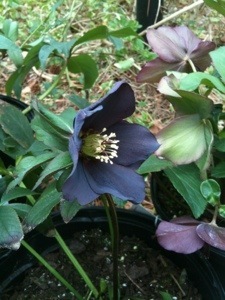 I like the Dark Lady Hellebore. I think these plants would die in my backyard. 😦 It gets to be about 104F where I live.